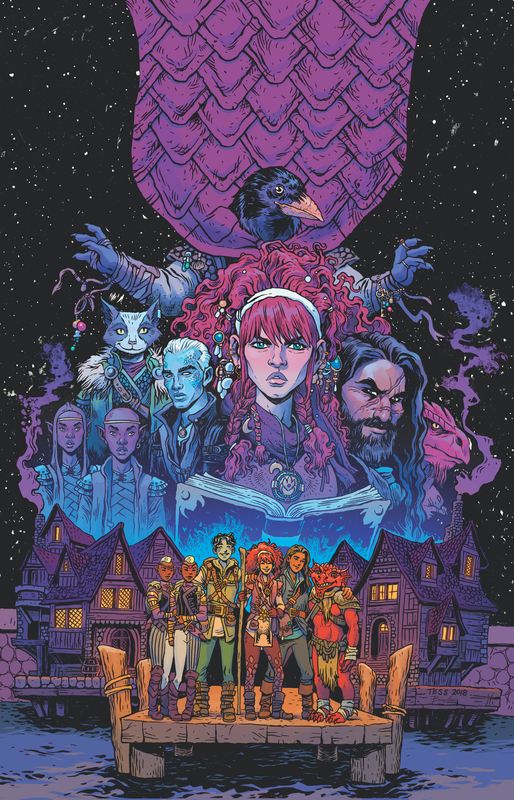 IDW announced on Thursday that it’s bringing Dungeons & Dragons to life in a brand new comic. 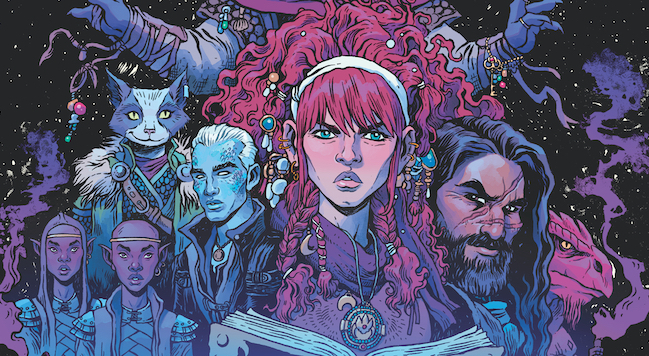 This miniseries, A Darkened Wish, will bring readers back to the 1987 setting The Forgotten Realms. Its eponymous campaign is one of the most popular among D&D players, with adaptations across novels, previous comics and videogames. Tess Fowler will be taking up art duties alongside writer B. Dave Walters. Fowler’s most recent project is the creator-owned Kid Lobotomy, which we’ve featured in our Required Reading roundup. She’s also putting out covers for IDW’s Rick and Morty/Dungeons & Dragons crossover. Her collaborator Walters is a motivational speaker as well as a writer, and co-host of the Ask Your Black Geek Friend. His comics resume includes co-creating the creator-owned series Electropunk. Gear up for their adventure in Dungeons & Dragons: A Darkened Wish. We’ll follow a young wizard named Helene, along with her friends, in the war-torn Sea of Swords. Helene will be forced to learn quickly when this five-issue mini launches in February 2019. Until then, check out Fowler’s full cover image below.